In this study graphene quantum dots/eggshell membrane nanocomposite (GQDS/ESM) is prepared and used as an efficient solid-phase extraction (SPE) sorbent for preconcentration of organophosphorus pesticides (OPPs) from aqueous solutions. The retained analytes on the sorbent are stripped by acetonitrile and subsequently are determined by high-performance liquid chromatography. Various parameters affecting the extraction efﬁciency of OPPs on the GQDS/ESM, such as solution pH, amount of nano-sorbent, sample loading ﬂow rate, elution conditions and sample volume are investigated. The results demonstrated that the proposed method has a wide dynamic linear range (0.05–100 ng mL-1), good linearity (R2>0.997) and low detection limits (0.006-0.32 ng mL-1). High enrichment factors are achieved ranging from 110 to 140. In the optimum experimental conditions, the established method is successfully applied for the determination of OPPs in spiked water samples (well, tap, shaft and canal) and apple juice. Satisfactory recovery results show that the sample matrices under consideration do not signiﬁcantly affect the extraction process. Up to date, solid-phase extraction (SPE) has been the most popular sample pretreatment techniques due to its several advantages including high enrichment performance, low solvent-cost, easy automation over some conventional techniques such as liquid-liquid extraction and Soxhlet extraction. The choice of SPE adsorbents plays an important role in the extraction process. In recent years, many efforts have been paid to development of various materials as SPE adsorbents such as alkyl-bonded silica (C8, C18), styrene-divinylbenzene copolymers [1,2], mixed hemimicelle/admicelle derived from surfactant-coated mineral oxides [3–7], nanomaterials [8–12], and molecular imprinted polymers . Majority of SPE adsorbents mentioned above are based on chemical structure. So, it is crucial to search for economical, easily available and environmental friendly biomaterials as SPE adsorbents. The interwoven and coalescing fiber network of the ESM and the presence of abundant functional groups such as carboxyl, hydroxyl, amino, phosphoryl, and thiol facilitate the binding of the various metal species. Eggshell membrane (ESM) is a cheap, green and easily achieved a biological material which can be used as an adsorbent in SPE. It is mainly composed of a thin inner and a thick outer membrane including typical collagen protein, amino acids, saccharides and lipids [15, 16] with a complex lattice network composed of stable and water-insoluble protein fibers. So, it could be considered as a promising candidate for SPE adsorbent due to attractive features such as the high specific surface area, excellent chemical stability and high density of surface functional groups including amines, amides and carboxylic . Graphene sheets smaller than 100 nm are called GQDS which show various electronic and optoelectronic properties due to quantum confinement and edge effects . Due to the ultrahigh specific surface area  GQDS are more sensitive to micro-environmental changes in comparison with another carbon-based materials. So far, much effort has been paid to the biological [20, 21] and catalysis applications of GQDS . Organophosphorus pesticides (OPPs) are a group of chemical compounds used for the control and elimination of insects in agriculture [23-25]. During development, neurologic effects of OPPs exposure, even at low levels, may be detrimental because neurotransmitters, including acetylcholine which play essential roles in the cellular and architectural development of the brain [26, 27]. Contamination of surface water and groundwater with hazardous compounds has attracted increasing attention in recent decades. Therefore, for the sake of human health and environmental pollution control, the determination of trace OPPs in environmental samples is of tremendous importance. According to the European Union (EU) Directive on water quality (98/83/CE) , the maximum admissible concentration (MAC) for pesticides is 0.1 mgL-1 for each individual substance and 0.5 mgL-1 is the maximum allowed for the total concentration of all organophosphorus. Development of an efﬁcient analytical method to detect such contaminants is an important topic for environment protection. At present, a number of methods have been used for the pre-concentration and determination of OPPs in aquatic samples like ionic liquid-based dispersive liquid-liquid microextraction , SPE , solid phase microextraction , single-drop microextraction  and cloud point extraction . However, most of these methodologies are laborious and time-consuming and low detection limits cannot be achieved. Recently, carbon-based graphene has attracted wide interest due to its high surface area, signiﬁcant adsorption capacity, a variety of benzene rings and rich π-π electron arrangement [34,35]. Considering the good potential of GQDs for effective interaction with some organic molecules, and high biocompatibility, as well as the surface activity of ESM, resulted developing GQDs/ESM nanocomposite as a novel absorbent for SPE. The goal of this study is to investigate the performance of GQDs/ESM for preconcentration and determination of OPPs in water samples and fruit juices using an off-line SPE followed by reversed phase HPLC-UV method. A Jasco HPLC system consisted of a PU-1580 isocratic pump, a Rheodyne 7725i injector with a 10 µL loop (Rheodyne, Cotati, CA, USA) and a UV-1575 spectrophotometric detector was used in the experiment. The chromatographic system was controlled by HSS-2000 provided by Jasco using the LC-Net II/ADC interface. The data were processed using BORWIN software (version 1.50). An analytical 250 mm × 4.6 mm ID, 5µm particle, Perfectsil Target ODS-3 column (MZ–Analysentechnik, Germany) with a ODS-3 pre column (10× 4.0 mm I.D., 5µm), which was maintained at ambient temperature, was employed for separation. Scanning electron microscopy images were obtained using an S-4800 field emission scanning electron microscope (FESEM) (Hitachi, Tokyo, Japan). Pesticide analytical standards include malathion (Mala), diazinon (Diaz), phosalone (Phos) and chlorpyrifos (Chlor) were provided by Fluka (Germany) (Table 1 shows their structures and IUPAC names). All pesticide standards were of 97.7 – 99.5% purity. Standard solutions of each compound at a concentration of 100 mg L-1 were prepared in methanol and stored at 4 oC. Methanol LC-grade from Merck (Darmstadt, Germany) was used for standard preparation and chromatographic analysis. Sodium hydroxide and hydrochloric acid used for pH adjustment and sodium chloride used for ionic strength studies which were purchased from Merck (Darmstadt, Germany). All other chemicals were obtained from Merck (Darmstadt, Germany). Graphene oxide was purchased from Azar Kimia Nanotechnology Co., Tabriz, Iran, which was synthesized according to modified Hummer’s method . The recovery studies were carried out using tap water, shaft water, well water, canal water, and apple juice samples. Tap water sample was collected freshly from our laboratory (Azarbaijan Shahid Madani University, Tabriz, Iran) and well water came from Khoshakan deep groundwater in Khoy (Iran). Canal water (Dizaj, Khoy, Iran) was picked up a few days before analysis. Shaft water sample was collected from Gheshlagh (West Azarbaijan Province, Iran) and apple juice was from SUN ICH (Tehran, Iran). All water samples were collected in brown bottles, stored in the dark place at 4 oC until analysis. Fresh hen eggs were obtained from a local supermarket. The eggs albumen and yolk were removed and the broken eggshells were immersed in 1% acetic acid solution for 30 min in order to obtain the ESM easily . Then it was washed with adequate ultra-pure water. In this study, the hydrothermal method was used for the synthesis of GQDs from graphene oxide as precursor . The graphene oxide was deoxidized in a tube furnace at 250 oC for 2 h by a heating rate of 5 oC min-1 in a nitrogen atmosphere. The obtained graphene sheets were oxidized in concentrated H2SO4 (10 mL) and HNO3 (30 mL) for 15 h under mild ultrasonication (500 W, 40 kHz). The oxidized graphene sheets were diluted and purified with microporous membrane and re-dispersed in deionized water. Then the suspension was heated at 200 oC for 10h in an autoclave. The resulting black suspension was filtered with microporous membrane and a brown filter solution was obtained. To remove larger graphene nanoparticles, the colloidal solution was dialyzed in a dialysis bag (retained molecular weight: 3500 Da) overnight and GQDs were obtained having stability for more than 3 months. A digitally controlled peristaltic pump (Azarkim, peristaltic pump Model 120, supplied by Azar Kimia Nanotechnology Co., Tabriz, Iran) was used to pass the analyte samples and solvents through the column containing GQDs/ESM nano-sorbent at a controlled ﬂow rate. GQDs/ESM was employed to create the solid-phase extraction column as follows: the column was prepared by introducing 100 mg of GQDs/ESM into an empty polypropylene cartridge using the dry packing method. Two polypropylene frits were situated on the both side of the sorbent in order to prevent it from washing out. Before loading the sample, the column was cleaned with 1 mL of eluent solution and conditioned by passing 2 mL of deionized water through the column prior to each use. Then, a 150.0 mL portion of the sample solution was passed through the column at a ﬂow rate of 2.0 mL min-1 by using the peristaltic pump. Aliquots of 150.0 mL sample or aqueous standard solution containing OPPs with a concentration of 100 ng mL1 for each analyte (pH = 9) was passed through the GQDs/ESM nano-sorbent in a column at a ﬂow rate of 2.0 mL min-1. After loading, the retained analytes on the column was stripped by acetonitrile, which acts as eluent. The retained OPPs on the sorbent was completely eluted by 1 mL acetonitrile. The concentration of eluted analyte was determined by HPLC-UV method. The isocratic mobile phase consisted of methanol-phosphate buffer (25 mM) (pH=4) in the ratio of 80:20 v/v, ﬂowing through the column at a ﬂow rate of 1 mL min-1 39]. The eluent was monitored using UV detection at a wavelength 225 nm. The mobile phase was ﬁltered through a 0.22 mm membrane-type GV ﬁlter (Millipore). A 40 kHz and 138 W ultrasonic bath water at controlled temperature (bath model LBS2–FALC instruments, Italy) was applied to degassing the mobile phase. Fig. 1 shows FESEM images of typical surface regions of ESM (A) and GQDs/ESM (B), obtained at 15000 and 10000 magnifications respectively. ESM has an intricate lattice network composed of highly cross-linked protein fibers. This membrane is composed of interlinked and coalescing fibers ranging from 1 to 3 µm in diameter, and micropores about 5-10 µm in size. The structure of ESM allows facile incorporation of GQDs into the semipermeable ESM which results in a homogeneous bionanocomposite throughout the whole membrane. Fig. 1B shows the FESEM image of GQDs/ESM, representing that GQDs appropriately doped in ESM protein fibers. It can be seen that piecemeal GQDs sheets on the ESM fibers were constructed, and a uniform and three-dimensional GQDs ﬁlm was formed. The porous and layered structure of GQDs/ESM and uniform distribution of GQDsparticles on ESM fibers is beneﬁcial to the adsorption of the analyte on sorbent as well as easy desorption of retained analyte by an eluent solvent due to effective contacts. Fig. 2 shows the extraction efficiencies of analytes with ESM and GQDs/ESM adsorbents prepared at same conditions. As can be seen, ESM shows low efficiency in the extraction of OPPs. The presence of graphene sheets in GQDs/ESM composite increased the extraction efficiency. This promising result can be related to inherent characteristics of GQDs such as high surface to the volume ratio, high capacity of sorbent, the presence of small sheets that have π-π interactions and the presence of many hydroxyl functional groups resulting the polarity of GQDs. The effect of pH on the retention of OPPs was investigated by applying the proposed extraction and elution procedure to the sample solutions. The pH of each solution was adjusted to values ranging from 4 to 12 with a minimum volume of 0.01 mol L‒1 HNO3 and/or NaOH. It was found that the recovery values increased as the pH increased to 9, and turned off when the solution pH exceeded 9 (Fig. 3). At low pH, a decrease in extraction efﬁciency may be due to the repulsion between the positive surface of adsorbent and positive ions on OPPs. On the other hand at higher pH, the deprotonation of the phenolic hydroxyl groups of graphene moiety in the graphene-based sorbent converts them into negatively charged phenoxide ions. Following the deprotonation as well as due to the abundance of OH_ ions, extraction efﬁciency of OPPs decreases because selected OPPs already contains anionic sites such as on Cl, O and S. The dramatically decreased in peak area ratio of OPPs at higher pH (pH 9-12) is due to the fact that pesticides undergo hydrolysis rather than sorption. Therefore, pH 9 was selected as the working pH. We did not use any buffer solution for pH adjusting, because this may affect the retention of OPPs due to the competition of the anionic species for bonding to active sites on the nano-sorbent. To test the effect of the amount of nano-sorbent on the quantitative retention of pesticides, the extraction was conducted by varying the amounts of the GQDs/ESM from 50 to 250 mg. The results indicated that the quantitative recovery values of OPPs were obtained by using 100 mg of nano-sorbent. Therefore, 100 mg of nano-sorbent was employed in this work. The inﬂuence of the sample loading ﬂow rate on the recovery was investigated between 1.0 and 9.0 mL min‒1. As can be seen in Fig. 4, maximum recovery values for all the analytes were observed at ﬂow rate 2.0 mL min‒1. However, higher ﬂow rates led to a continuous decrease in the recovery values as the interaction time between the analytes and the sorbent was decreased. Thus, the loading ﬂow rate of 2.0 mL min‒1 was selected for further experiments. Generally, addition of salt decreases the solubility of analytes in aqueous samples and enhances their partitioning into the adsorbent or organic phases. For investigating the inﬂuence of the ionic strength on the extraction performance, several experiments were performed by adding varying NaCl amounts from 0 to 300 mM. The results demonstrated an improvement in the extraction efﬁciency for all the analytes when NaCl amount increased up to 200 mM. Increasing NaCl amount more than 200 mM causes a small decrease in the extraction efﬁciency. Therefore, 200 mM NaCl was used in further experiments (Fig. 5). The eluent reagent and its volume should be carefully taken into account as major parameters. For this reason, various stripping reagents such as methanol, ethanol, acetonitrile, acetone, and n-hexane were tested to ﬁnd the best stripping solution for the retained OPPs. Among these reagents, acetonitrile provided higher recovery values. It was found that 1.0 mL was sufﬁcient for eluting all the analytes from the column completely. The effect of sample solution volume on the OPPs loading on the sorbent was investigated by passing 50 - 300 mL sample solutions spiked with the ﬁxed amount of each analyte (2.5 mg) at a ﬂow rate 2.0 mL min‒1 according to the recommended procedure. Recovery of OPPs was found to be quantitative when sample volume was chosen in the range 50.0 – 150.0 mL. For sample solution larger than 150.0 mL, the recovery decreased for all analytes. Considering 150.0 mL as aqueous sample volume which was preconcentrated in 1.0 mL acetonitrile and analyzed by using HPLC-UV at 225 nm, the values of enrichment factors for malathion, diazinon, phosalone, and chlorpyrifos were calculated as 110, 125, 140 and 135, respectively. Under optimized conditions, analytical features of the proposed method such as linear range (LR), coefﬁcient of determination (R2), limit of detection (LOD), limit of quantiﬁcation (LOQ), enrichment factor (EF) and precision were examined (Table 1). To obtain the precision of the method, replicated analysis of spiked water samples were carried out for three times, and relative standard deviation (RSD) values were calculated by the obtained peak area of each analyte. All the analytes exhibited good linearity with the coefﬁcient of determinations ranging from 0.997 – 0.999. The LODs values based on signal-to-noise ratio (S/N) of 3, were 6.0 – 32.0 pg mL‒1, and the LOQs, based on signal-to-noise ratio (S/N) of 10, were 20 – 160.7 pg mL‒1. The LOD values easily and conveniently meet the MAC of 0.1 ng mL‒1 for one organophosphorus pesticide and 0.5 ng mL‒1 for the total concentration of these pesticides in drinking water set by EU. To test the reliability of the proposed procedure, the method was employed for the analysis of four environmental water samples (tap, well, shaft and canal) and apple juice and the results were shown in Table 2. Results of initial analysis conﬁrmed that they were free of target analytes. The accuracy of the presented method was evaluated by the recovery test carried out with spiked samples. Relative recoveries (RR%) for the analysis of OPPs in spiked samples using the proposed method based on three replicate extractions and determinations are shown in Table 2, which indicated that the recoveries for the four OPPs were in the range 82.0% – 113.3% with R.S.D.s between 2.1% and 6.3%. Typical chromatograms of spiked water samples were shown in Fig. 6. In this study, the prepared GQDs/ESM nanocomposite has shown excellent potential for use as a new SPE sorbent for OPPs extraction from aqueous solution. GQDs/ESM is a good choice to use for separation and preconcentration of pollutants in aqueous samples due to its low cost compared with commercially available sorbents. It can be concluded that the coupling of novel GQDs/ESM as SPE nano-sorbent with HPLC method can exhibit excellent selectivity, repeatability, and ease of operation in optimum conditions. The method can be successfully applied to determine OPPs in water samples and fruit juices. The ﬁnancial support from the Research Council of Azarbaijan Shahid Madani University is gratefully acknowledged. 1. Bones J, Thomas K, Nesterenko PN, Paull B. On-line preconcentration of pharmaceutical residues from large volume water samples using short reversed-phase monolithic cartridges coupled to LC-UV-ESI-MS. Talanta. 2006;70(5):1117-28. 2. Rodriguez-Mozaz S, Lopez de Alda MJ, Barceló D. Advantages and limitations of on-line solid phase extraction coupled to liquid chromatography–mass spectrometry technologies versus biosensors for monitoring of emerging contaminants in water. Journal of Chromatography A. 2007;1152(1):97-115. 3. Merino F, Rubio S, Pérez-Bendito D. Solid-Phase Extraction of Amphiphiles Based on Mixed Hemimicelle/Admicelle Formation: Application to the Concentration of Benzalkonium Surfactants in Sewage and River Water. Analytical Chemistry. 2003;75(24):6799-806. 4. Zhao X, Shi Y, Cai Y, Mou S. Cetyltrimethylammonium Bromide-Coated Magnetic Nanoparticles for the Preconcentration of Phenolic Compounds from Environmental Water Samples. Environmental Science & Technology. 2008;42(4):1201-6. 5. Niu H, Cai Y, Shi Y, Wei F, Mou S, Jiang G. Cetyltrimethylammonium bromide-coated titanate nanotubes for solid-phase extraction of phthalate esters from natural waters prior to high-performance liquid chromatography analysis. Journal of Chromatography A. 2007;1172(2):113-20. 6. Li J-D, Cai Y-Q, Shi Y-L, Mou S-F, Jiang G-B. Determination of sulfonamide compounds in sewage and river by mixed hemimicelles solid-phase extraction prior to liquid chromatography–spectrophotometry. Journal of Chromatography A. 2007;1139(2):178-84. 7. Moral A, Sicilia MD, Rubio S, Pérez-Bendito D. Sodium dodecyl sulphate-coated alumina for the extraction/preconcentration of benzimidazolic fungicides from natural waters prior to their quantification by liquid chromatography/fluorimetry. Analytica Chimica Acta. 2006;569(1):132-8. 8. Cai Y, Jiang G, Liu J, Zhou Q. Multiwalled Carbon Nanotubes as a Solid-Phase Extraction Adsorbent for the Determination of Bisphenol A, 4-n-Nonylphenol, and 4-tert-Octylphenol. Analytical Chemistry. 2003;75(10):2517-21. 9. Zhou Q, Xiao J, Wang W. Using multi-walled carbon nanotubes as solid phase extraction adsorbents to determine dichlorodiphenyltrichloroethane and its metabolites at trace level in water samples by high performance liquid chromatography with UV detection. Journal of Chromatography A. 2006;1125(2):152-8. 10. 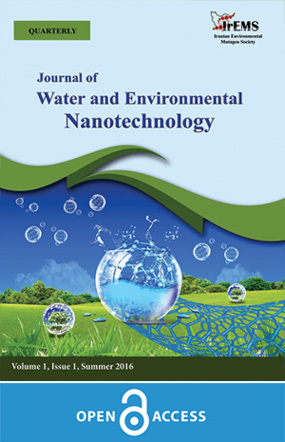 Wang W-D, Huang Y-M, Shu W-Q, Cao J. Multiwalled carbon nanotubes as adsorbents of solid-phase extraction for determination of polycyclic aromatic hydrocarbons in environmental waters coupled with high-performance liquid chromatography. Journal of Chromatography A. 2007;1173(1):27-36. 11. Zhou Q, Ding Y, Xiao J, Liu G, Guo X. Investigation of the feasibility of TiO2 nanotubes for the enrichment of DDT and its metabolites at trace levels in environmental water samples. Journal of Chromatography A. 2007;1147(1):10-6. 12. Niu H, Cai Y, Shi Y, Wei F, Liu J, Mou S, et al. Evaluation of carbon nanotubes as a solid-phase extraction adsorbent for the extraction of cephalosporins antibiotics, sulfonamides and phenolic compounds from aqueous solution. Analytica Chimica Acta. 2007;594(1):81-92. 13. Wang W, Chen B, Huang Y, Cao J. Evaluation of eggshell membrane-based bio-adsorbent for solid-phase extraction of linear alkylbenzene sulfonates coupled with high-performance liquid chromatography. Journal of Chromatography A. 2010;1217(36):5659-64. 14. Chen X-W, Huang L-L, He R-H. Silk fibroin as a sorbent for on-line extraction and preconcentration of copper with detection by electrothermal atomic absorption spectrometry. Talanta. 2009;78(1):71-5. 15. Chen X-W, Zou A-M, Chen M-L, Wang J-H, Dasgupta PK. Live HeLa Cells Preconcentrate and Differentiate Inorganic Arsenic Species. Analytical Chemistry. 2009;81(3):1291-6. 16. Soledad Fernandez M, Moya A, Lopez L, Arias JL. Secretion pattern, ultrastructural localization and function of extracellular matrix molecules involved in eggshell formation. Matrix Biology. 2001;19(8):793-803. 17. Suyama K, Fukazawa Y, Umetsu Y. A new biomaterial, hen egg shell membrane, to eliminate heavy metal ion from their dilute waste solution. Applied Biochemistry and Biotechnology. 1994;45(1):871-9. 18. Zhang Y, Wang W, Li L, Huang Y, Cao J. Eggshell membrane-based solid-phase extraction combined with hydride generation atomic fluorescence spectrometry for trace arsenic(V) in environmental water samples. Talanta. 2010;80(5):1907-12. 19. Novoselov KS, Geim AK, Morozov SV, Jiang D, Zhang Y, Dubonos SV, et al. Electric Field Effect in Atomically Thin Carbon Films. Science. 2004;306(5696):666-9. 20. Geim AK, Novoselov KS. The rise of graphene. Nat Mater. 2007;6(3):183-91. 21. Wang Y, Li Z, Wang J, Li J, Lin Y. Graphene and graphene oxide: biofunctionalization and applications in biotechnology. Trends in Biotechnology. 2011;29(5):205-12. 22. Gollavelli G, Ling Y-C. Multi-functional graphene as an in vitro and in vivo imaging probe. Biomaterials. 2012;33(8):2532-45. 23. Stankovich S, Dikin DA, Dommett GHB, Kohlhaas KM, Zimney EJ, Stach EA, et al. Graphene-based composite materials. Nature. 2006;442(7100):282-6. 24. Dreyer DR, Park S, Bielawski CW, Ruoff RS. The chemistry of graphene oxide. Chemical Society Reviews. 2010;39(1):228-40. 25. Sun X, Liu Z, Welsher K, Robinson JT, Goodwin A, Zaric S, et al. Nano-graphene oxide for cellular imaging and drug delivery. Nano Research. 2008;1(3):203-12. 26. Huang H, Liao L, Xu X, Zou M, Liu F, Li N. The electron-transfer based interaction between transition metal ions and photoluminescent graphene quantum dots (GQDs): A platform for metal ion sensing. Talanta. 2013;117(Supplement C):152-7. 27. Shen J, Zhu Y, Yang X, Li C. Graphene quantum dots: emergent nanolights for bioimaging, sensors, catalysis and photovoltaic devices. Chemical communications. 2012;48(31):3686-99. 28. Zhu S, Tang S, Zhang J, Yang B. Control the size and surface chemistry of graphene for the rising fluorescent materials. Chemical Communications. 2012;48(38):4527-39. 29. Li Y, Zhao Y, Cheng H, Hu Y, Shi G, Dai L, et al. Nitrogen-Doped Graphene Quantum Dots with Oxygen-Rich Functional Groups. Journal of the American Chemical Society. 2012;134(1):15-8. 30. Muñoz-Quezada MT, Lucero BA, Barr DB, Steenland K, Levy K, Ryan PB, et al. Neurodevelopmental effects in children associated with exposure to organophosphate pesticides: A systematic review. NeuroToxicology. 2013;39(Supplement C):158-68. 31. Levine MJ. Pesticides: a toxic time bomb in our midst: Greenwood Publishing Group; 2007. 32. Tadeo JL. Analysis of pesticides in food and environmental samples: CRC Press; 2008. 33. Barr DB, Bradman A, Freeman N, Whyatt RM, Wang RY, Naeher L, et al. Studying the relation between pesticide exposure and human development: Taylor & Francis: New York, NY, USA; 2006. 34. Costa LG. Current issues in organophosphate toxicology. Clinica Chimica Acta. 2006;366(1):1-13. 35. Council E. Directive on the quality of water intended for human consumption. 1998. 36. He L, Luo X, Xie H, Wang C, Jiang X, Lu K. Ionic liquid-based dispersive liquid–liquid microextraction followed high-performance liquid chromatography for the determination of organophosphorus pesticides in water sample. Analytica Chimica Acta. 2009;655(1):52-9. 37. Ravelo-Pérez LM, Hernández-Borges J, Ángel Rodríguez-Delgado M. Multiwalled carbon nanotubes as solid-phase extraction materials for the gas chromatographic determination of organophosphorus pesticides in waters. Journal of Separation Science. 2008;31(20):3612-9. 38. Su P-G, Huang S-D. Determination of organophosphorus pesticides in water by solid-phase microextraction. Talanta. 1999;49(2):393-402. 39. Lambropoulou DA, Psillakis E, Albanis TA, Kalogerakis N. Single-drop microextraction for the analysis of organophosphorous insecticides in water. Analytica Chimica Acta. 2004;516(1):205-11. 40. Jia G, Lv C, Zhu W, Qiu J, Wang X, Zhou Z. Applicability of cloud point extraction coupled with microwave-assisted back-extraction to the determination of organophosphorous pesticides in human urine by gas chromatography with flame photometry detection. Journal of Hazardous Materials. 2008;159(2):300-5. 41. Xu Y, Bai H, Lu G, Li C, Shi G. Flexible Graphene Films via the Filtration of Water-Soluble Noncovalent Functionalized Graphene Sheets. Journal of the American Chemical Society. 2008;130(18):5856-7. 42. Chauhan N, Dahiya T, Priyanka, Pundir CS. Fabrication of an amperometric ascorbate biosensor using egg shell membrane bound Lagenaria siceraria fruit ascorbate oxidase. Journal of Molecular Catalysis B: Enzymatic. 2010;67(1):66-71. 43. Pan D, Zhang J, Li Z, Wu M. Hydrothermal Route for Cutting Graphene Sheets into Blue-Luminescent Graphene Quantum Dots. Advanced Materials. 2010;22(6):734-8. 44. Hadjmohammadi MR, Peyrovi M, Biparva P. Comparison of C18 silica and multi-walled carbon nanotubes as the adsorbents for the solid-phase extraction of Chlorpyrifos and Phosalone in water samples using HPLC. Journal of Separation Science. 2010;33(8):1044-51.